We speculated on the Walking Dead finale. 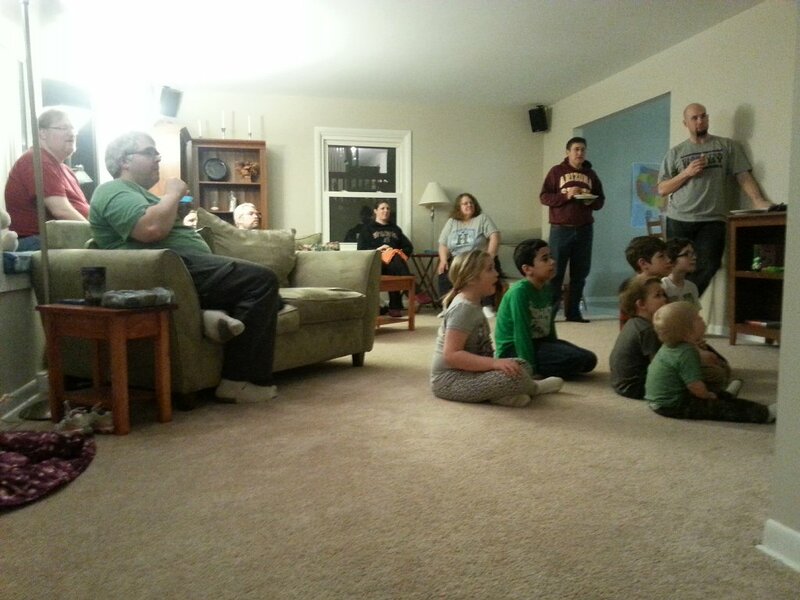 We enjoyed pizza, popcorn and homemade sliders. We watched trailers for Amazing Spider-Man 2, Winter Soldier, Guardians of the Galaxy and Godzilla. If was great, thanks again to our hosts April and Josh! This entry was posted in Viewing Party and tagged Movie by Carrie. Bookmark the permalink.